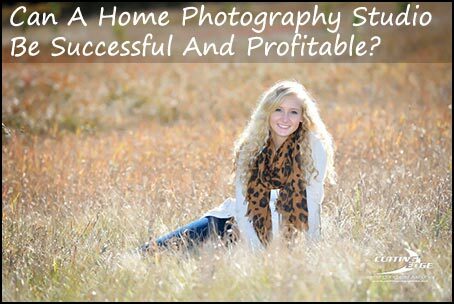 Can A Home Photography Studio Be Successful And Profitable? The home photography studio is fast becoming the dominant business model of choice for anyone thinking of becoming a professional photographer, but that choice often comes with unforeseen challenges that must be overcome in order to be successful. To clarify, when we talk here about the “home photography studio” this includes photographers who conduct sessions in a studio at their house and those who just use their home as a base-camp for their photography business. With the turmoil in today’s economy, many people naturally turn to photography as a source of additional income. After all, it’s seen as an easy business to get into, with no need for lengthy study or professional qualifications. Nor is it required to run a photography studio from an “official” business location. Running a home photography studio isn’t new to the industry. However, the balance between home photography studios and retail locations has shifted. Over the years, a number of new photographers have started out in their homes, while many established “brick and mortar” photographers have moved away from traditional locations and back into their homes. What does that mean for success and profitability? There are now more photographers operating studios from their homes than in traditional commercial locations. This is a good thing if you happen to be one of the many photographers working from home, since recent studies show that a home photography studio can be more profitable than a traditional commercial studio—as long as it’s run correctly. But, of course, there’s often a downside, and you may be learning that it’s not exactly a bed of roses when it comes to managing the home studio! Unfortunately, a lot of photographers are finding the home studio route to be a difficult one, with success still out of reach. Why Is A Home Photography Studio Hard To Manage? But why is running a photography business from your home so difficult? One reason is, it’s easy to take photos of a friend, lure someone with a session that will build your portfolio, and then give away your images, or charge such a nominal price that you can never break free of the infamous “day job”. Is there a magic advertisement, or product, that will move you to the next level? Unfortunately, the road to continued success is paved with a lot of hard work, persistence, creativity, and consistency. A successful photographer must skillfully intermix art and business to really make it work. Just being a fantastic artist or business person will not ensure success by themselves. If you cannot consistently attract the right customers and sell your creativity and vision, then long term success will remain elusive. On the other hand, a healthy combination of artistic flair and business acumen will greatly improve your chances of success. Generating sales that properly compensate you and build a meaningful income requires a good in-depth knowledge of business. That’s why they call this a photography BUSINESS. One of the biggest challenges most photographers in this position face is they don’t generate enough traffic from a home photography studio to create a viable income for themselves. More often than not, a home studio isn’t usually located in a well-traveled commercial district, so passing traffic and visibility are limited. Therefore, how can you generate a solid income stream with a reduced volume of customers? The answer is through effective marketing and working hard to maximize the sales from the clients you do have. Here’s where we have to get into some business and economic theory, a concept that typically baffles a lot of people, or fails to at least capture their interest. After all, you probably didn’t become a photographer so that you could spend all your time poring over business theories and studying economics, right? Regardless of how interesting we might think business theory is, it can’t hurt to learn a little, though, does it? And, if your competition won’t take time to learn something about this, then it will give a competitive advantage over them. 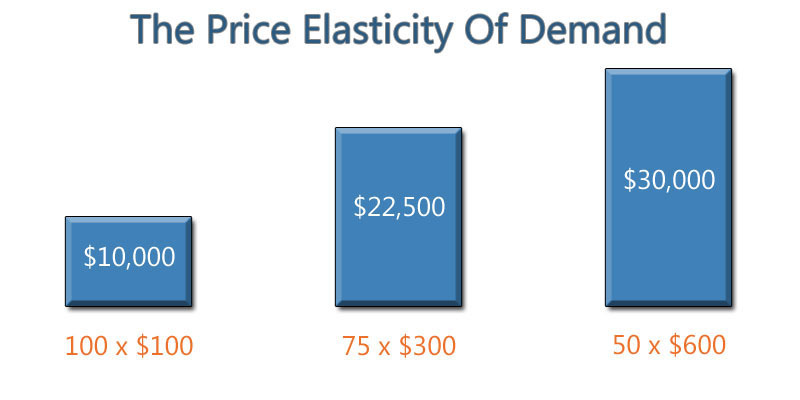 A valuable concept that can help any business is called the “price elasticity of demand“. What this means is that if you increase the price, you typically decrease the number of customers; conversely, decreasing price increases the number of customers. This is a little oversimplified, but it’s essentially how it works. For example, if you generate $100 in sales from 100 people, that creates $10,000 of total revenue. However, some home photography studios may have a hard time bringing in more people, due to the size of their customer base, personal scheduling conflicts, physical studio constraints etc. If your customer base isn’t being maximized and you can accommodate more clients in your schedule, you could perhaps work to do a better job of marketing in order to generate more customers. That would make you busier and fill your day better. However, if your client base is limited, as most home-based photography studios are, then the only other viable option is to increase your sales. By increasing sales (and/or prices), you typically will lose some customers (those who can’t, or perceive that they can’t, afford you). But if you make incremental adjustments so you increase total revenue over time, you can work less and make more money. So, using that 100-member customer base we mentioned previously, if you raise prices and/or increase your average sales from $100 to $300 per customer, you may now only see 75 customers as a result. But, in this scenario, your total revenue has actually increased to $22,500 – more than doubling your previous income! A further look shows that by increasing the average sale to $600 per customer might decrease your number of customers to around 50, but yields a total revenue of $30,000. Under those conditions, with higher sales averages and lower numbers of clients, you’re working less but making more. Of course, you can always go too far with the concept and increase price and/or sales to the point where you actually decrease your revenue, so careful estimates and evaluation are critical. Finding that happy balance between price, sales totals, and number of customers will allow you to see if a home photography studio is feasible, profitable, and possibly able to offset a full-time income. A word of caution here, though. It’s very easy to allow your own emotional reactions to the subject of “price” to influence your decision-making, often causing the photographer to lose confidence in proposed price increases. As mentioned in the article on when to reveal prices for photography, pricing must be tested by essentially allowing your customers to vote with their wallets, rather than falling prey to untested preconceived notions of what you think people will pay. David Hakamaki is the owner of Cutting Edge Photography in Iron Mountain, MI. 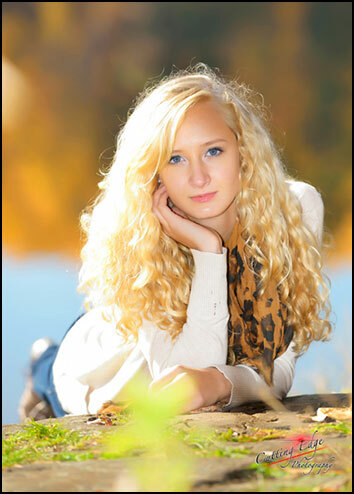 David’s studio is a full-time, home-based photography business that focuses on high school seniors, youth sports, families, children, promotional/travel and weddings. 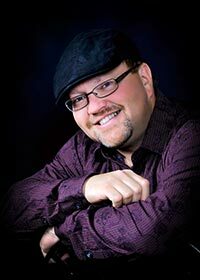 He’s a regular speaker at photography conferences across the US and serves on Simply Color Lab’s “Senior Dream Team”. He’s also one of Kubota Image Tools “Champions”. David is married with four children, who all love to travel the country in search of adventure. I also had the pleasure of interviewing David on a webinar for the Prime Focus Lab Coaching Group where we talk about running a home photography studio and the business of high school senior portraits. In part 1 of the webinar, David and I spent time chatting about his business, learning about his marketing, and how he attracts high school seniors to his studio to make him the place to go for senior portraits in his local community.